Bollywood actor Irrfan Khan, who has just recovered from a rare kind of cancer, has got back to work and has started shooting for the sequel of his film Hindi Medium in Udaipur. 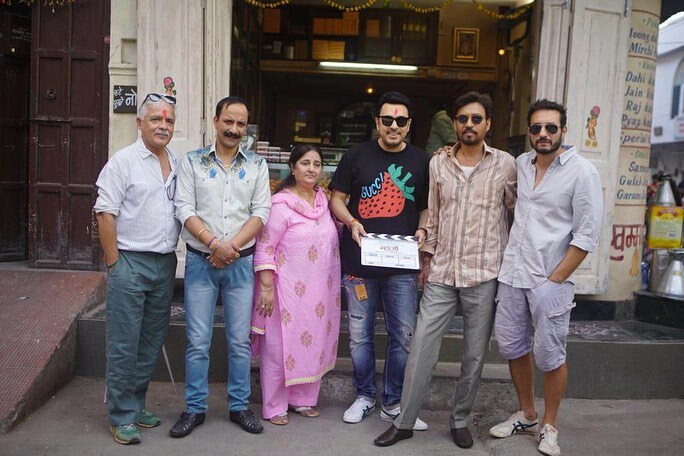 The film went on floors officially in Udaipur on April 5, 2019 and the first pictures show Irrfan in a healthier avatar. Irrfan returned to India from London last month after he underwent treatment for neuroendocrine tumor. His health condition had kept him away from work for about a year. The sequel has got a name Angrezi Medium and is the much awaited films of 2019 after the success of the original film released in 2017. The film is directed by Homi Adajania of Cocktail fame and is produced by Dinesh Vijan and will tell a new story of Irrfan’s on-screen daughter who goes to London for her higher studies. Reports say that Kareena Kapoor has been roped in for the female lead while the Pataakha actor Radhika Madan will be seen playing the role of Irrfan’s daughter. The upcoming film will be shot in Udaipur and London. The original version was directed by Saket Chaudhary with Pakistani actor Saba Qamar as the female lead. Irrfan won several awards for his performance in the film. The audience cannot wait to catch the sequel.